Update: Following up on the LMCC conference, What Comes After, Caryn James has a review of a related exhibition, A Knock at the Door, and her own reflections on the politics of art in the aftermath of 9/11, in today’s NYTimes. LMCC lost its World Trade Center home and the life of an artist on 9/11. We are very sensitive to the traumas of violence and terrorism. LMCC will not include any work of art in the "A Knock at the Door" exhibition that could in any way endanger the public. There will be no hazardous devices on display. 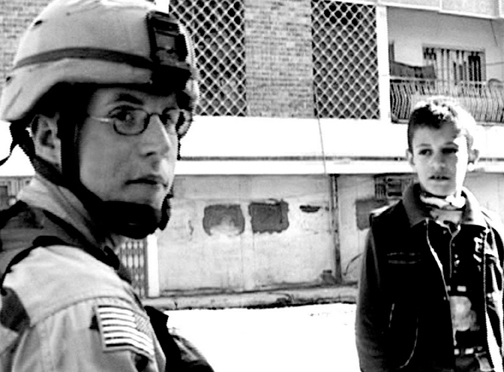 The point of "A Knock at the Door" is to explore the relationships between artists and authority in the post 9/11 world, not to create risk or condone violence. These are serious issues — not to be dismissed or ignored. But what appears to be missing in the current literature and in the conference proceedings is more attention to the ways art and literature can bring us into a more productive exploration of the experiences, feelings, and insights of others, not as self-indulgent immersion, but as a way of extending empathy while allowing for some measure of critical analysis that might lead to a deeper understanding of the causes and effects of violence. This weekend’s conference, organized by the Lower Manhattan Cultural Council, with the optimistic title, What Comes After: Cities, Art + Recovery (An International Summit), brought together numerous scholars, artists, and activists from across the world to talk about the artistic response to traumatic experience and loss in the aftermath of violence. In spite of the statement posted to the conference website by Tom Healy — intended, perhaps, to address the controversy surrounding "inappropriate art" generally, and LMCC’s expansion of the theme of recovery on the weekend of the anniversary of "9/11" in particular — the organizers did not focus on New York City. It avoided what conference curator Radhika Subramaniam, in her opening remarks on Friday morning, referred to as the "parochialism and narcissism" of the local (and limited) framing of the events of 9/11/2001. Instead, the emphasis was extended to include the role creative forms of art have played (and are playing) in places such as South Africa, Northern Ireland, Germany, Argentina, Chile, Cambodia, Iraq, and Palestine. Design of Recovery — What are the political and aesthetic challenges of rebuilding after disaster? How do architects and planners balance utilitarian, economic and technological issues against those of environment, cultural heritage and local practice? Afterword: Language of Recovery — What are the demands placed on language and writing by disaster? How does writing after catastrophe work as advocacy, witness, mirror, mourning, elegy or indictment? Arts of Emergency — How are artists provoked by the mechanisms of destruction and terror? How does photography, painting and performance intervene to restore face and voice, expose the erasures of history and demand recognition? Revenge, Reparation, Reconciliation — How can artistic media be used by formerly hostile groups to reconcile opposing points of view, recognize divergent historical narratives and promote trust? What cultural strategies do advocates, jurists and activists employ to effect accountability and foster healing? Remembrance, Repitition, Residue — What is the relationship of memory and forgetting to the recovery of daily life after trauma? How are the arts of memory—museums, memorials, archives—sentinels of the future? Arts of Possibility — Can cultural and symbolic forms help to imagine a future while remembering the past and mourning loss? Can artistic strategies serve as antidotes to revenge, sorrow and despair to restore hope, encourage safety, and return the promise of tomorrow? One can see even from this brief summary of themes that the conference was thoughtfully and courageously organized. It has brought together a committed and important group of people whose lives are devoted to addressing these questions and to putting their insights into action. One can only hope that the limitations of the on-site proceedings of What Comes After will be overcome and more than compensated for by creative use of the materials made available on the website and through the many productive discussions to follow in communities, cafes, pubs, and classrooms around the world. But we can also help by contributing our own thoughts and efforts to the task of recognizing, remembering, and coming to terms with the causes and effects of violence, wherever they occur. Nat Hentoff has offered a weak argument for humanitarian intervention in support of the Bush administration’s war on Iraq. He raises the issue of Rwanda which is a fair example. It’s a clear case of international failure to stop an atrocity with very little risk, effort, and ambiguity. Thousands were slaughtered by machetes. A few thousand western troops could have prevented the mass killings and it would have been a good thing if they had. But that does not support Hentoff’s argument. The widespread political opposition to intervention in Iraq, the likely motives of the U.S., the vanishingly small probability of building a democratic nation in a deeply divided country with no love for its conquerors, etc., etc. suggest that matters may not get better for the Iraqis any time soon. The situation is very different from that of Rwanda. Sadaam’s days were numbered anyway and containment was working. Nor was he likely to engage in any more atrocities with the eyes of most of the world on him and without support from other Arab leaders. Hentoff is off the mark on this one.